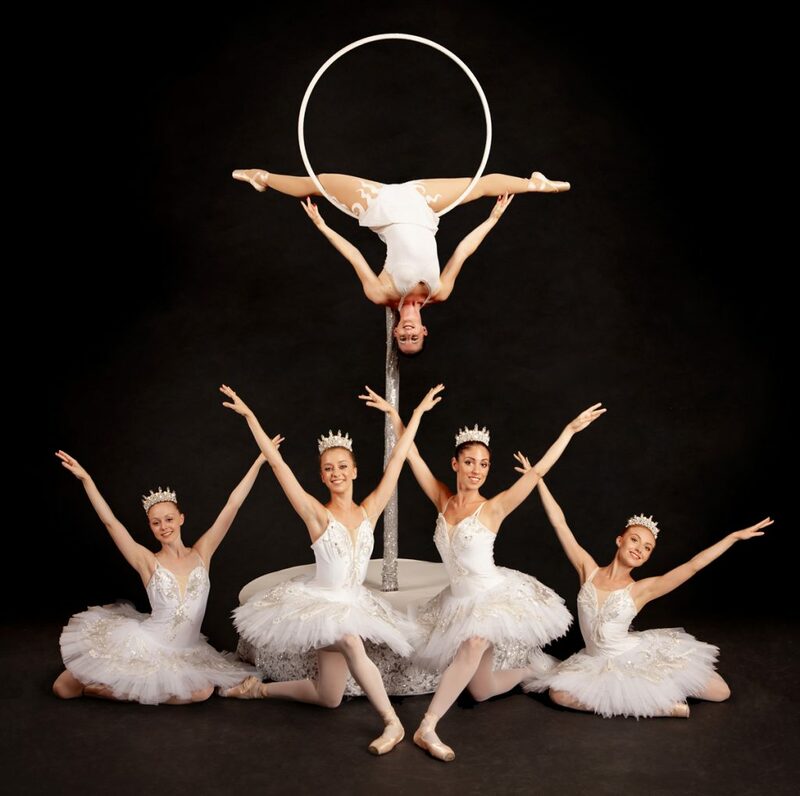 This amazing new collaboration brings together our two experienced companies to offer a range of stunning collaborative shows with the dancers on the ground and the aerialist in the hoop performing in harmony together. 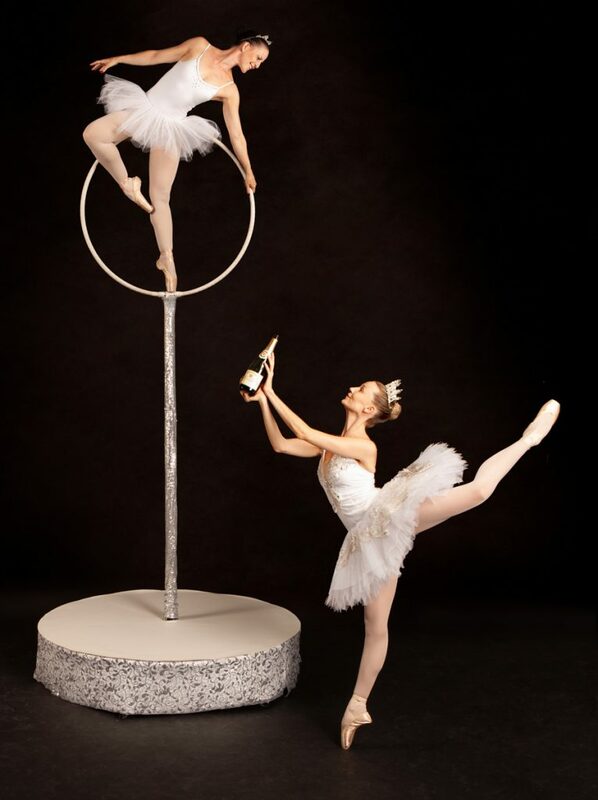 This gives the performance a really three-dimensional effect. 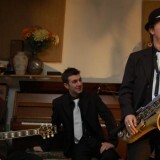 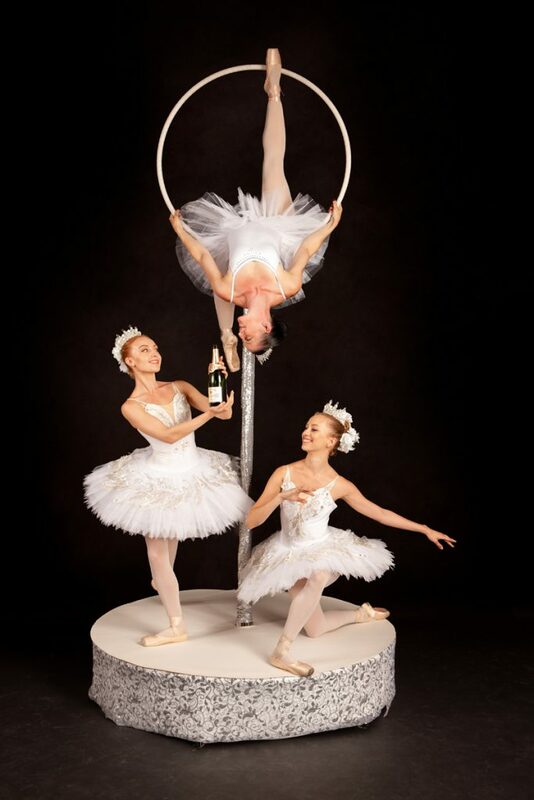 We also offer walkabout / ambient options and champagne pouring / aerial bar tending. 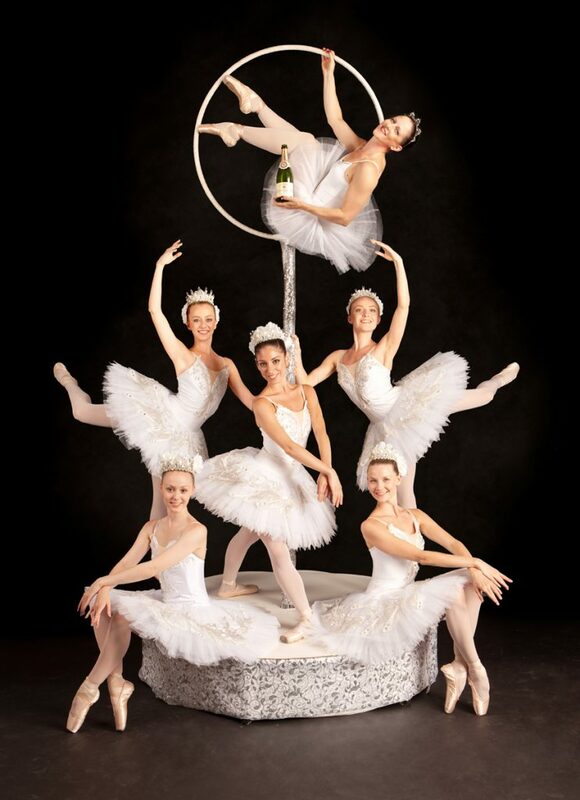 For a classic look, we offer gorgeous white costumes – great for any winter theme, or white themed event. 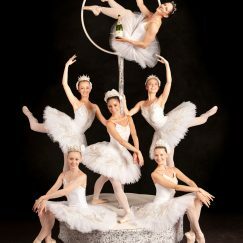 We can offer between 2-6 dancers, and up to 4 x Luna. 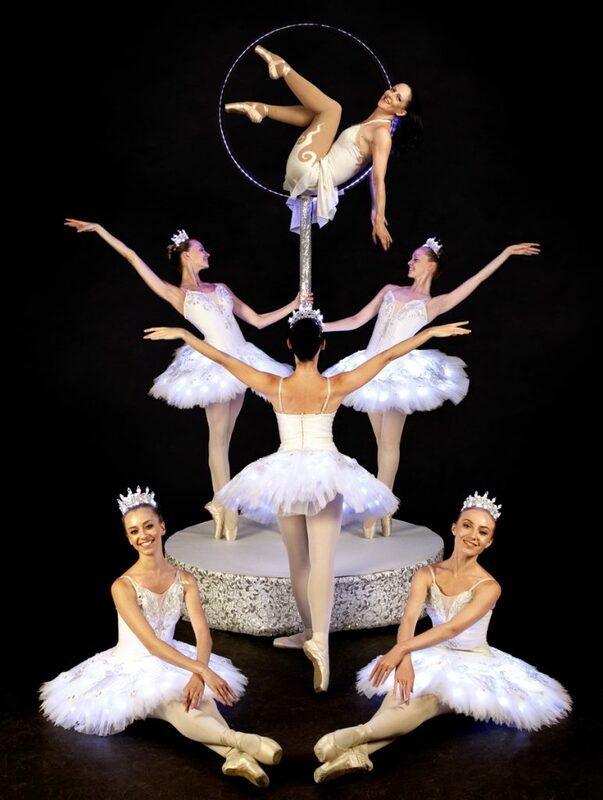 One of the most popular requests this year is for LED acts, so this combines the stunning light-up tutus of the ballerinas, with the LED aerial hoop. 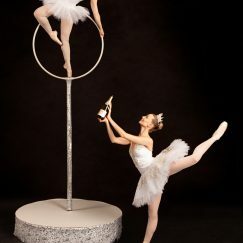 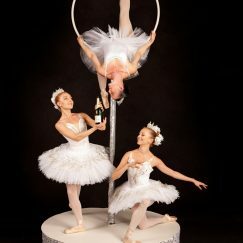 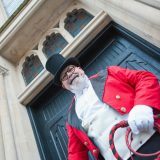 We also offer champagne pouring – either from the aerial hoop, or from the beautiful dancers.